Improve system component performance to enhance process flow with TotalSim. Since we don’t rely on judgement or assumptions about a model, it allows for a more precise analysis and confidence to move forward with industrial processes related to chemical or consumer products. 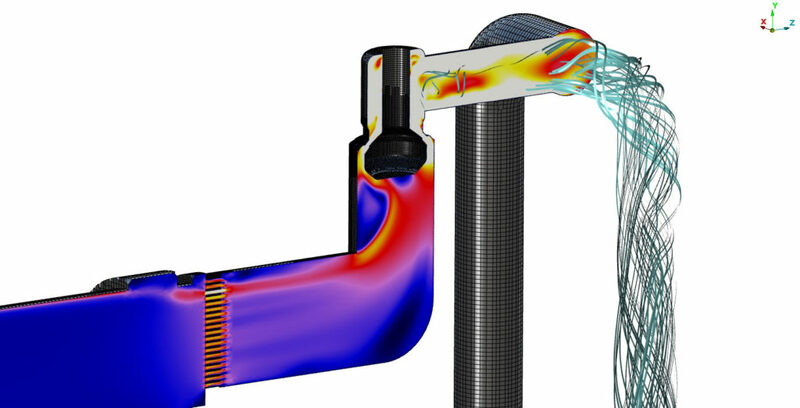 From pumps and tanks to pressure vessels, TotalSim applies CFD expertise to solve the toughest workflow processes. TotalSim has developed custom software that is designed to help you overcome challenges and help you meet your specific goals. From simulating the mixing of chemicals or separation of solids in a liquid to determining material path flows or finding the rate and speed on a massive scale for industrial process, we can do it all. Our experienced team is dedicated to providing you high-powered results. TotalSim analyzes your process and workflows to identify opportunities to enhance effectiveness and efficiency of the physical properties or components of a system.